A computer mouse is not always the best way of dealing with work. And holding that mouse for hours on end can lead to all kind of long lasting pains. But there are more ergonomical option like a pen mouse. 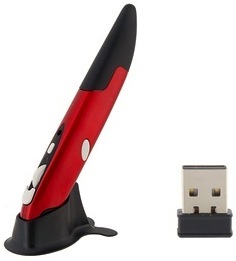 This pen mouse is wireless and comes with a 2.4GHz USB transmitter. With this pen mouse you can be free like when you are writing or drawing on paper and still offers the same functions as a regular mouse. 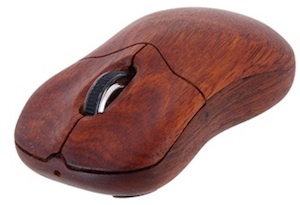 And this pen mouse run on PC, Mac and Linux without difficult installations. So if you want to be free and creative then come check out this Wireless Pen Mouse. 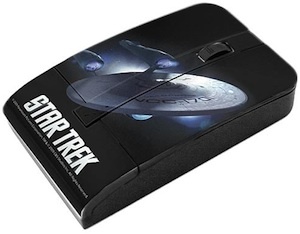 Star Trek fans will love this mouse. It is a wireless USB mouse that works great on PC and Mac and even comes with batteries included. But the main thing of course is that it is a Star Trek mouse. On the top of the mouse you see a picture of the U.S.S. Enterprise as we all saw it in the hit Star Trek movie from 2009. Wait no longer and go get your own Star Trek U.S.S. Enterprise Wireless Mouse. We all know it all those suitcases that come of the plane look the same so which one is yours? 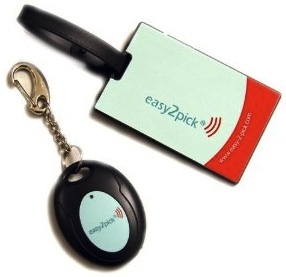 Now the search will be a lot easier with the easy 2 pick luggage tag. Just hang the tag on your bag and when it comes in to reach of you remote you will be notified. When you bag get in to 60 feet of you then you will know with sound and vibration you will be notified that your bag is ready for you to pick up. The luggage tag is approved for world wide air travel and automatically turns it self off when it gets in to the plane (and of course turns itself on again to when leaving the plane). This gadget is making traveling so much easier. Check out the Easy 2 Pick Luggage Locator. Great so now you have a computer connected to your TV but how do i control it without long wires or super big wireless devices? No problem this mini keyboard and trackpad set are super for that problem. 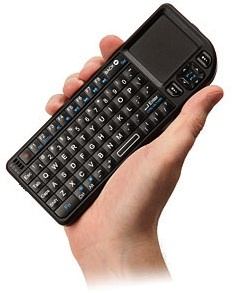 Now you have your own keyboard witch is small enough to fit in your hand and it even has a little trackpad. It even has a laser pointer build in so that you can use it for presentations. Of course it works on pc’s and mac’s so great for most users. Go have a look at all the details of this Mini Keyboard and Trackpad Set. We all know the feeling going on a trip and then the wireless in your hotel room that maybe free is just so bad that you can just as well not use it. But some rooms offer wired high speed internet and that is when this little wonder is handy. Just plug the router in your wired connection and you are ready to go and now you just have fast fast wireless internet when you need it. The Mini wireless router of course comes with a network cable and besides that it comes with an power adapter and a usb cable and both can be used to power the router. I would say go check out this Mini Router and be assured that you have great wireless on your next trip!